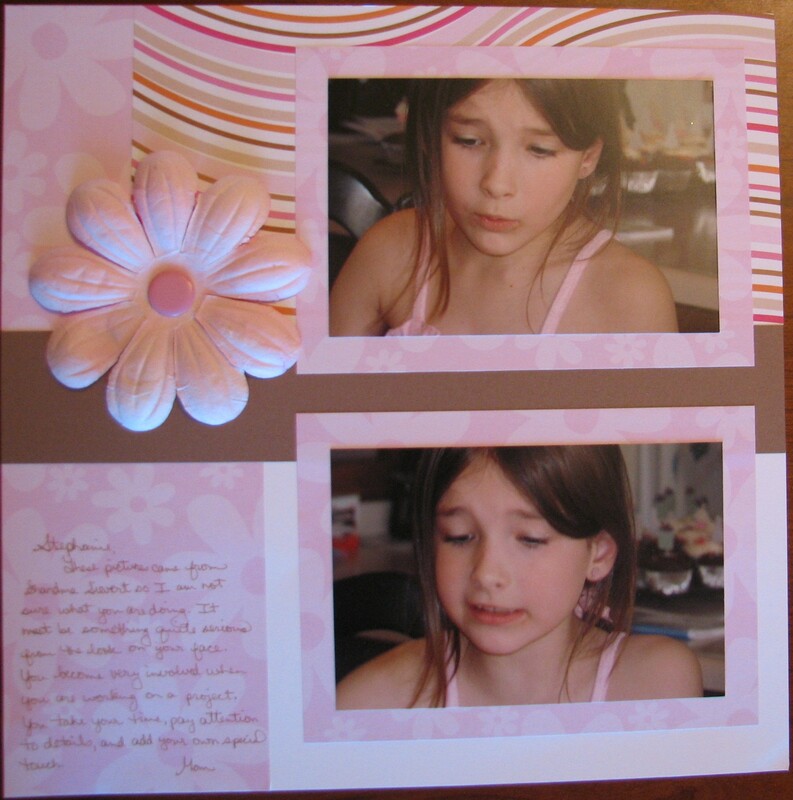 Supplies used: Diecuts With a View paper, Close to My Heart Big Pinks Flower, and Bazzill Really Big Brad. Layout Challenge #72 of 210. The October Challenge at Scrap Our Stash is to do that project that you have been putting off. I have a HUGE stack of layouts that are started and not finished. This is the start of that pile. They should all come together quickly and it will be a great accomplishment when I am finished, hopefully adding a lot to my yearly page goal.